The City of Vancouver announced that it has returned a portion of the site to its original caretakers, Musqueam. The property at 8902 Milton Street – currently a parking lot — sits on the banks of the Fraser River at the south end of Granville Street. c̓əsnaʔəm was never ceded by Musqueam and continues to be significant to the nation’s identity. It was once a burial site and contains many important cultural belongings. Musqueam Chief Wayne Sparrow said the new acquisition means the nation is one step closer to its long-term goal of protecting the entire village site. “Musqueam has successfully acquired several portions of the c̓əsnaʔəm site in order to protect and preserve our heritage,” he said in a statement. According to a statement from the City of Vancouver, council donated the property to a wholly-owned subsidiary of Musqueam Indian Band and will help to convert it to a protected heritage property. 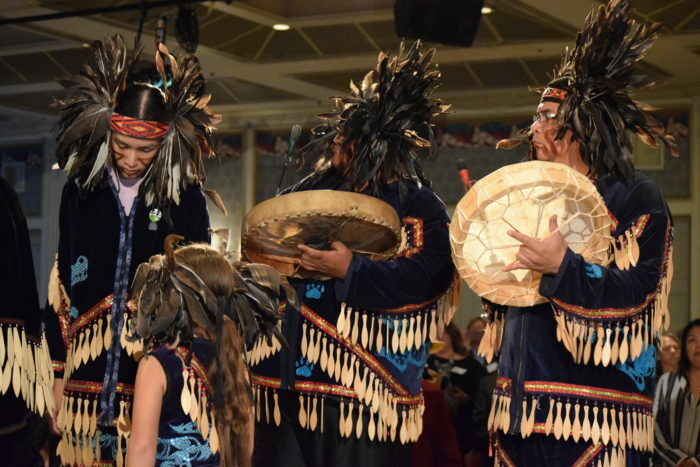 The land transfer was announced at an event at Musqueam on Oct. 16. Musqueam has been advocating for the protection and return of c̓əsnaʔəm and what’s buried below the industrial residential area that sits on top of it. The nation purchased the Fraser Arms Hotel on Marine Drive in 1991. In 2012, members of the community held a vigil in c̓əsnaʔəm for more than 200 days after development on another portion of the site unearthed human remains, and was eventually able to purchase those land parcels back. “The site is invaluable in preserving a small, tangible and intangible part of our history and culture that, unlike so much else, has to date survived non-Aboriginal settlement in our traditional lands,” Sparrow said.